Fran�ois-Andr� Danican Philidor (September 1, 1726 - August 31, 1795) was a French chess player and composer. He was regarded as the solely best chessplayer of his age, and the book he wrote on the subject was regarded a standard manual for at least a century. Philidor came from a long line of musicians at the French court. His family name was Danican, of Scottish origin. An ancestor played the hautboy at Versailles and King Louis XIII was so impressed that he named the ancestor "Philidor" after the previous woodwind virtuoso Filidori. Philidor started playing regularly in about 1740 at the chess Mecca of France, the Caf� de la R�gence. The best player in France, Legall de Kermeur, taught him. At first, Legall could give Philidor rook odds, but in only 3 years, Philidor was his equal, and then surpassed him. Philidor visited England in 1747 and decisively beat the Syrian Phillip Stamma in a match +8 =1 -1; in fact Philidor let Stamma have white in every game and allowed him to count a draw as a win. Philidor astounded his peers by playing three blindfold games simultaneously. Blindfold chess means playing without sight of the board, the moves of his opponents and his replies being communicated orally via a recognised form of chess notation. Some affidavits were signed because they doubted that future generations would believe that such a feat were possible. Now three games would be fairly unremarkable among many chess masters. In 1749, Philidor published his famous book Analyse du jeu des �checs. This was such an advance in chess knowledge that it went through 100 editions and was widely translated. His most famous advance was the saying "The pawns are the soul of chess". He also included analysis of certain positions of rook + bishop v rook, which is still current theory even today. He is most famous for showing an important drawing technique with a rook versus a rook and pawn, in a position known as the Philidor position. 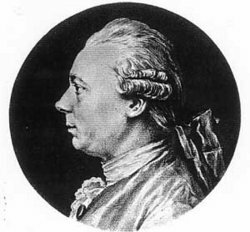 Philidor was the leading opera composer in France from 1750 to 1770. Occasionally his pieces are played today. But when Andr� Ernest Modeste Gr�try began to surpass him, he concentrated more on chess. Philidor was stuck in England when the French Revolution occurred. Because of many of the connections above, the Revolutionary Government put him on the banned list. Philidor died on 31 August 1795 in London and was buried in St James, Piccadilly. A few days too late, his relatives succeeded in getting his name removed from the list. This article is based on the article Fran�ois-Andr� Danican Philidor from the free encyclopaedia Wikipedia and stands under the GNU-Licence for free documentation. In the Wikipedia a list of the authors is available.